Found throughout southern Quebec, New Brunswick and Nova Scotia; also found scattered throughout Maine. Individual trees may live 800 years or more. Wood used for framing, roof boards, timbers, bark mulch (a purple color) and pulp. 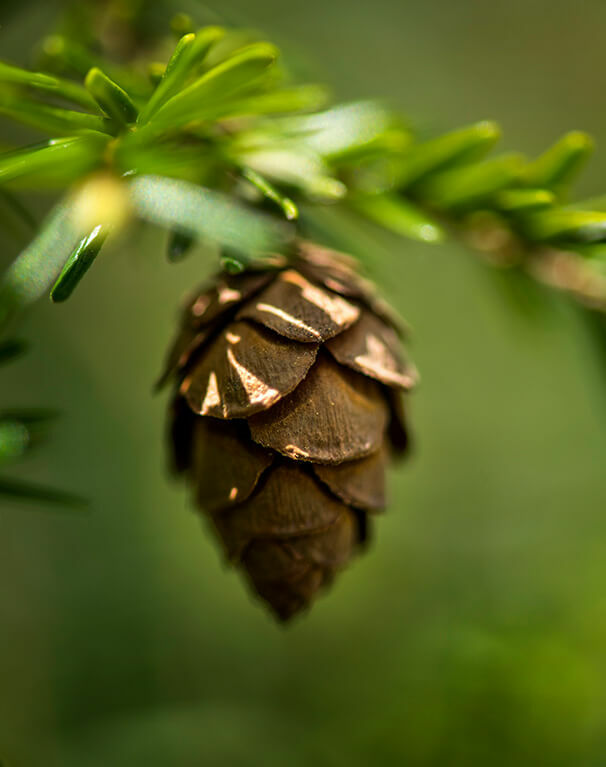 A dense conifer, pyramidal shape, cone small and light brown; grows well in shade. Not poisonous (those are herbaceous perennials in the parsley family). 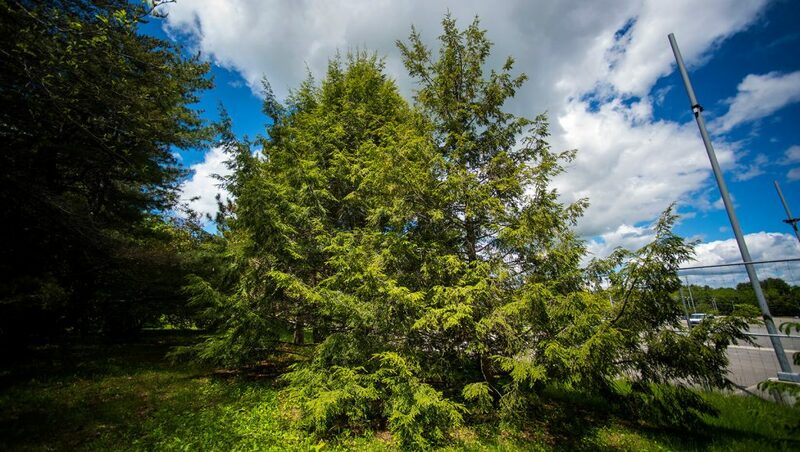 State tree of Pennsylvania; also known as eastern hemlock.